There are many ways you can participate to make a difference in people’s lives. Your kindness and generosity are appreciated. Items we urgently need are featured below. Please take a moment to look them over. Click on the DONATE button ~ If you’d like to donate to a specific item, please make note of that at check-out time. Every year we supply the hospital with a few more critical pieces of medical equipment. Currently there are no lab facilities. We URGENTLY NEED a POC ANALYZER. This easy to operate machine requires only a finger stick to provide valuable information to assist in diagnosis and treatment. 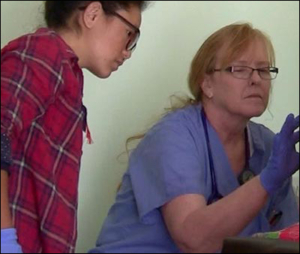 For our Medical Camps we purchase medicines in India, buy discounted medications thru USA non-profits and get donations of medicines from medical professionals. It is difficult to acquire medications in Zanskar and important to stock the pharmacy for the winter months. These medications are for treating chronic diseases and critical to treating acute illness, especially in children. We purchase multi-vitamins, children’s vitamins and prenatal vitamins as a health supplement which is very important due to the very limited access to fresh fruits and vegetables. 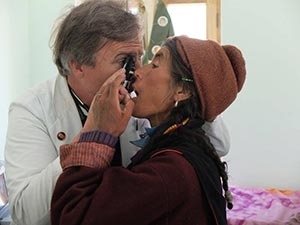 There is no access to eye care in Zanskar. There is no one trained to do eye exams and no place to get prescription glasses. There are many cataracts and pyrigiums due to the high altitude and damage from repeated episodes of snow blindness. Hands On Global wants to take a multi year approach and use the resources available in India to bring good eye care. 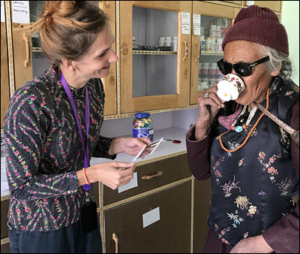 We are collaborating with an ophthalmology team from an eye hospital in India to travel to Zanskar and do vision assessments with hopes to have them return in 2019 and do a cataract camp. 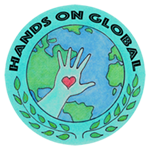 Hands On Global hopes to facilitate this by funding the travel expenses of the team. Hands On Global would like to train a local Zanskari to become an optician who could perform reliable eye exams and craft glasses. There is a 6 month program at the Prasad Eye Hospital costing $5800. This requires the purchase of a slit lamp for eye exams and the start-up kit for making glasses.